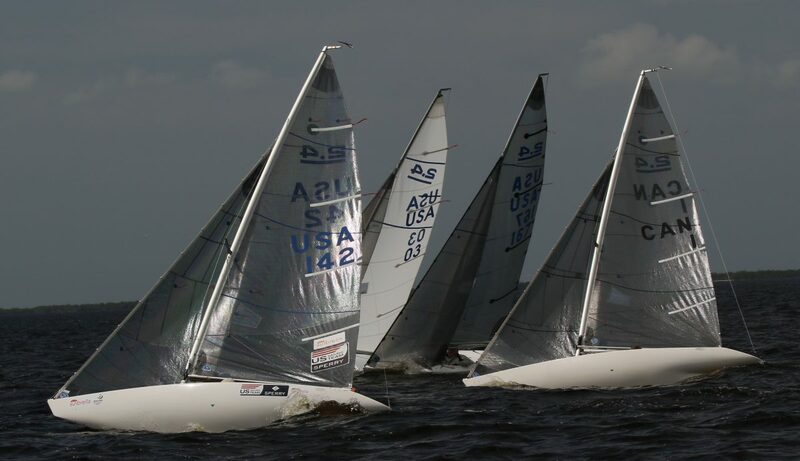 Charlotte Harbor Regatta saw a great turnout of 2.4mr boats in that class. This year there were 91 registered boats in the regatta in twelve classes with the 2.4mr’s being 3rd biggest class. Charlotte Harbor Regatta saw a great turnout of 2.4mr boats in that class. This year there were 91 registered boats in the regatta in twelve classes with the 2.4mr’s being 3rd biggest class. 82 of the registered boats competed, eleven boats were missing from the action and man did they miss it. Way to go guys, you really turned the heads of the regatta committee with the turnout for the regatta. Talk about separate fleet if this kind of turn out continues. Yes we could use that. This shows the strength of the class as it grows. Winds were challenging as they shifted on the course, nothing new for Charlotte Harbor. First day had great conditions other than starting out a little on the cool side but shortly warmed up to a nice day. Competition was close as for the most part with competitors changing positions several times on the course. Sailing was great but better yet was the time spent with each other getting boats ready and then talking about the regatta and other things. I myself had a great time and was able to just sit back and enjoy the class as a sailing community.